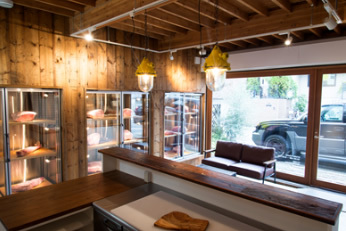 ”Meat Concierge” will store your meat under the ideal conditions. 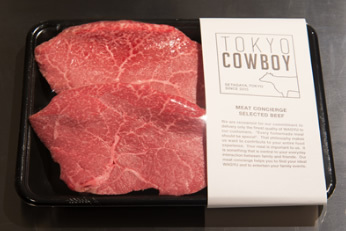 “Meat Keep” is an innovative and unique service that allows you to enjoy Wagyu in many ways. A customer buys a fresh cut of meat (more than 2 kg) and keeps it at our store. The customer can request any cut and amount they want and store the rest with us. 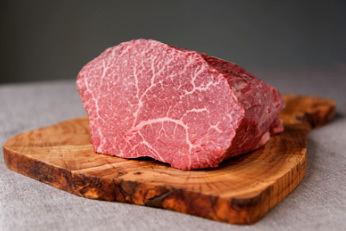 Initially, the customer will enjoy the freshness of Wagyu’s flavor and then experience the changes in texture, flavor and taste as time progresses. Meat keeper can purchase WAGYU at a discount. You can aggregate buyers (family and friends) and share a block of meat. Customers participating in our meat keep program will be informed of new inventory in advance. Meat keeper can order any cuts and we will deliver it next day. Free delivery service depending on initial meat keep amount. You can order any amount of your preferred cut and take some home every day or week. With your meat already paid for, simply call the store in advance and we will prepare your preferred cut and amount. The meat you purchase through meat keep is exclusively yours. We can accommodate any party, event or BBQ. Give us the details and the number of participants and we can suggest an appropriate amount of meat and suitable cuts. Meat purchased through meat keep is priced by weight. We calculate the price by assuming the block of meat is 25% fat/gristle. If the meat has more than 25% fat/gristle we will substitute with additional meat. Even though we store your meat in ideal conditions, some meat will perish before 30 days. In this case, we will exchange the spoiled portion for fresh meat. We will keep the meat for a maximum of 30 days, after that we will not accept exchanges or refunds. Our meat is inedible raw and must be cooked. After bringing your meat home, it should be consumed within a few days. It is your responsibility to maintain the meat at your home.